ATTENTION: This legal notice applies to the entire contents of the Website under the domain name profane.co (Website) and to any correspondence by e-mail between us and you. Please read these terms carefully before using the Website. Using the Website indicates that you accept these terms regardless of whether or not you choose to register with us. If you do not accept these terms, do not use the Website. 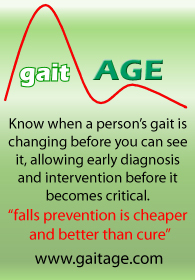 This notice is issued by Prevention of Falls Network Europe (ProFaNE). 1.3 ProFaNE may revise this legal notice at any time by updating this posting. You should check the Website from time to time to review the then current legal notice, because it is binding on you. Certain provisions of this legal notice may be superseded by expressly designated legal notices or terms located on particular pages at the Website. (c) ProFaNE's copyright and trade mark notices and this permission notice appear in all copies. 2.2 Unless otherwise stated, the copyright and other intellectual property rights in all material on the Website (including without limitation photographs and graphical images) are owned by ProFaNE or its licensors. For the purposes of this legal notice, any use of extracts from the Website other than in accordance with clause 2.1 for any purpose is prohibited. If you breach any of the terms in this legal notice, your permission to use the Website automatically terminates and you must immediately destroy any downloaded or printed extracts from the Website. 2.3 Subject to clause 2.1, no part of the Website may be reproduced or stored in any other website or included in any public or private electronic retrieval system or service without ProFaNE's prior written permission. 3.1 ProFaNE is committed to making the information and resources that is provides via the web accessible to all users. We aim to be standards compliant and follow general principles of usability and universal design, which should help all visitors to this website. However, if you do have difficulty accessing this site or require further help, please contact us. 3.2 While ProFaNE endeavours to ensure that the Website is normally available 24 hours a day, ProFaNE shall not be liable if for any reason the Website is unavailable at any time or for any period. 3.3 Access to the Website may be suspended temporarily and without notice in the case of system failure, maintenance or repair or for reasons beyond the ProFaNE's control. 4.4 ProFaNE shall fully co-operate with any law enforcement authorities or court order requesting or directing ProFaNE to disclose the identity or locate anyone posting any material in breach of clause 4.2 or clause 4.3. 5.1 Links to third party websites on the Website are provided solely for your convenience. If you use these links, you leave the Website. ProFaNE has not reviewed all of these third party websites and does not control and is not responsible for these websites or their content or availability. ProFaNE therefore does not endorse or make any representations about them, or any material found there, or any results that may be obtained from using them. If you decide to access any of the third party websites linked to the Website, you do so entirely at your own risk. 5.3 ProFaNE expressly reserves the right to revoke the right granted in clause 5.2 for breach of these terms and to take any action it deems appropriate. 5.4 You shall fully indemnify ProFaNE for any loss or damage suffered by ProFaNE or any of its group companies for breach of clause 5.2. 6.1 Each registration is for a single user only. ProFaNE does not permit you to share your user name and password with any other person nor with multiple users on a network. 7.1 While ProFaNE endeavours to ensure that the information on the Website is correct, ProFaNE does not warrant the accuracy and completeness of the material on the Website. ProFaNE may make changes to the material on the Website, or to the products and prices (if any) described in it, at any time without notice. The material on the Website may be out of date, and ProFaNE makes no commitment to update such material. 7.2 The material on the Website is provided "as is", without any conditions, warranties or other terms of any kind. Accordingly, to the maximum extent permitted by law, ProFaNE provides you with the Website on the basis that ProFaNE excludes all representations, warranties, conditions and other terms (including, without limitation, the conditions implied by law of satisfactory quality, fitness for purpose and the use of reasonable care and skill) which, but for this legal notice, might have effect in relation to the Website. 8.1 ProFaNE, any other party (whether or not involved in creating, producing, maintaining or delivering the Website), and any of ProFaNE’s group companies and the officers, directors, employees, shareholders or agents of any of them, exclude all liability and responsibility for any amount or kind of loss or damage that may result to you or a third party (including without limitation, any direct, indirect, punitive or consequential loss or damages, or any loss of income, profits, goodwill, data, contracts, use of money, or loss or damages arising from or connected in any way to business interruption, and whether in tort (including without limitation negligence), contract or otherwise) in connection with the Website in any way or in connection with the use, inability to use or the results of use of the Website, any websites linked to the Website or the material on such websites, including but not limited to loss or damage due to viruses that may infect your computer equipment, software, data or other property on account of your access to, use of, or browsing the Website or your downloading of any material from the Website or any websites linked to the Website. 8.2 All content within ProFaNE web site is provided for general information only, and should not be treated as a substitute for the medical advice of your own doctor or any other health care professional. 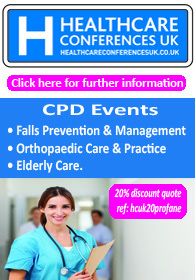 Health care professionals using the web site do so at their own risk. ProFaNE is not responsible or liable for any diagnosis made by a user including any health care professional based on the content of the ProFaNE website. ProFaNE is not liable for the contents of any external internet sites listed, nor does it endorse any commercial product or service mentioned or advised on any of the sites. 8.4 If your use of material on the Website results in the need for servicing, repair or correction of equipment, software or data, you assume all costs thereof.